This post contains affiliate link to Amazon. When you sign up using my affiliate link I nearn a small commission at no extra cost to you, and these commissions keep my blog online. July has 31 days in it, so when I set the reminder on my phone to cancel the membership one month later- I was a day late and $79 short.My husband laughed at me and shook his head. “Well, I guess we have a year’s subscription for Amazon Prime!” I told him. “I hope you enjoy the free two day shipping that you’ll probably never use” he smirked back. It’s true, we rarely bought anything that needed to be rushed, so I always just used the standard free shipping. 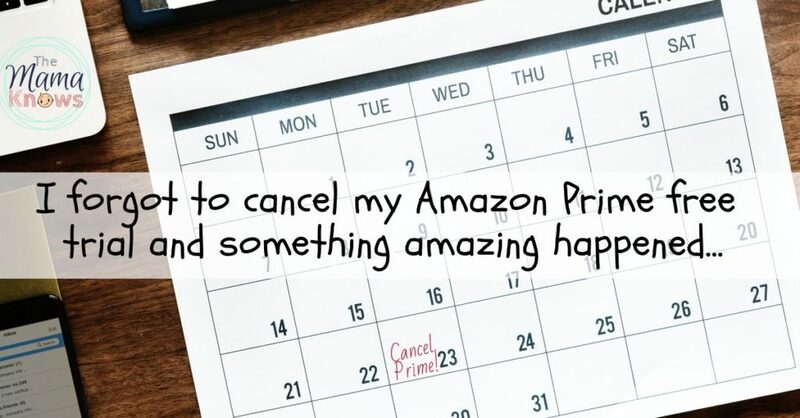 But here I was stuck with Prime and I figured I would make the most of it. I remembered something about Unlimited Music and photo storage, but couldn’t remember the details. 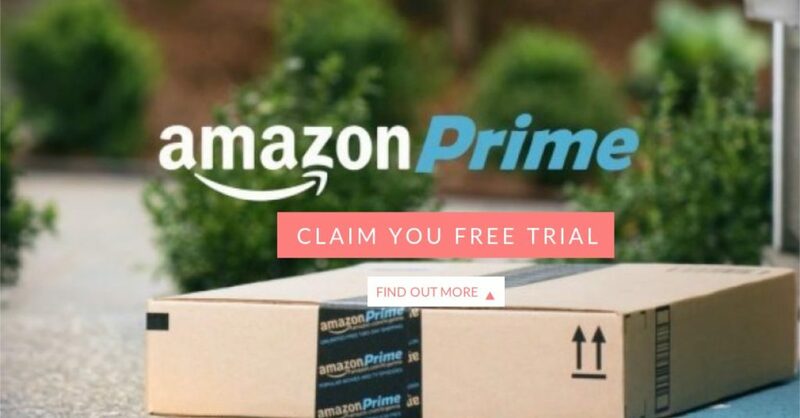 I started investigating what I was actually getting with my prime membership. I bet most people, like me, have no idea what it actually entails. Guess what I found out? I get so much awesome stuff that I officially now LOVE my Amazon Prime subscription! I’m a Netflix girl. I adore it! I even used it back when it was actually just DVD’s you got in the mail and returned when you were done watching them. I’ve used their streaming service since it launched, and I forego TV Cable the month after I got it. We haven’t had cable since! It turns out, Amazon Prime comes with a streaming video service too! Who new? I guess a lot of people knew, but I lived under a Netflix rock and had no idea. 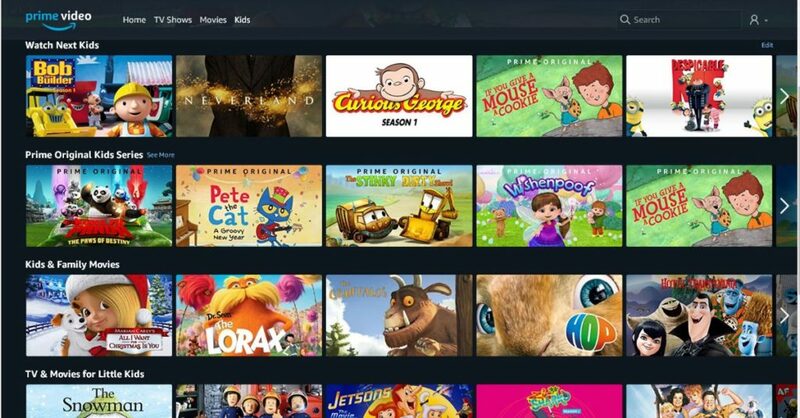 The Amazon Prime Video app is available on your Android and Apple phones, tablets and PlayStation. It’s also on the FireStick. We installed the app on our PS3 and decided to scroll through the shows available. I first looked into the Kids shows, because- well I am a mom and for some reason we always think of them first. They have Curious George the Series on PRime! Awesome! Because here in CAnada, Netflix took that one off ages ago and my kids were sad. They also have Yo Gabba Gabba, Baby Einstein, Bananas in Pajamas and Fisher Price Little People. There are lots of kids shows that are on Netflix too, like Super Why and Peppa Pig. The access to awesome kids shows alone are enough to make it worth it, but there are big kid and adult shows too! Between the two apps, I can pretty much find any show my kids want to watch, And just like Netflix, there are Original movies and series too! This is where my husband and I found some AWESOME shows for us and we both realized just how valuable our Prime subscription really was. There’s some original series on there that we both really enjoyed including Sneaky Pete, Goliath, The Marvelous Mrs. Maisel, Jack Ryan, and The Man in the High Castle. We haven’t even dented the list of other shows available. As an Anime fan and all around Japanophile, I really enjoy the anime selection and Japanese Dramas as well. Happy Marriage and Kyoto Love Story were particularly sweet dramas, and the Anime Slam Dunk is an old favourite of mine I was happy to re-watch. There are also children’s anime like Pokemon and Chi’s Sweet Home. But be aware, just because something animated doesn’t mean its for children! You’d be surprised at how many mature, adult anime you can really get sucked into with their detailed plots and high quality, emotion-inducing voice acting. See all the Prime shows available on this list. Or check out some trailers from their top Original shows! Amazon Music doesn’t have every artist and song under the sun, but they’ve curated some pretty awesome playlists and collections that you can just hit play on and enjoy! Their app works on just about any device, and you can download songs to your collection too. All of it is free with your prime membership. It can also connect to your Amazon Echo and you can ask Alexa to play music anywhere in your house that you have the speakers setup. You can backup your photos on your phone right to their Prime photo storage and have unlimited space. You can then access them from just about anywhere, and a lot of sites like Shutterfly let you grab them directly and print or design photo gifts with them. 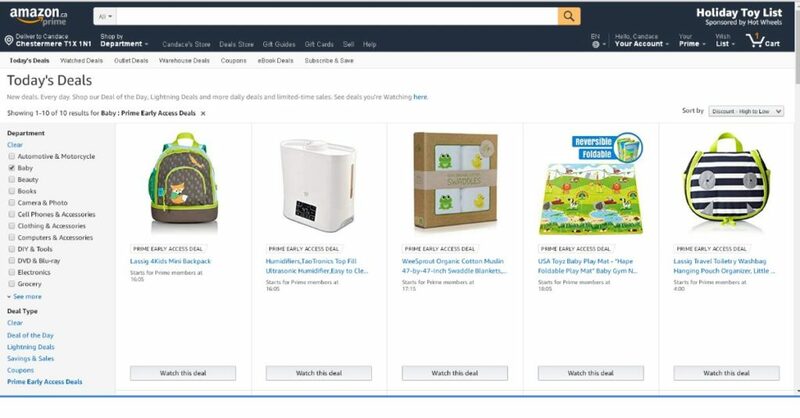 Obviously, evryone knows about the Free Two Day Shipping (and even free same day shipping in certain areas), but did you know you also get Amazon Family discounts (20% off subscription diaper delivery) and early access to Lightning Deals? Not everything that comes up is of interest to me, but I’ve snagged a few things that have been on my long term shopping list with their lightning deals and it’s pretty cool. We don’t use disposable diapers so we don’t benefit from that discount, but for families who do- you can’t go wrong with Amazon Prime. Amazon Family provides age-based recommendations for children ages 5 years and younger. If you’re expecting or adopting, enter the expected arrival date – you can always change it later. You can add all your kids and see products tailored to your family needs! I am in Calgary and One Day shipping is available to me, but In Toronto and Vancouver you can get same day shipping for free on just about anything. Subscribe and Save is another option for tons of products we use constantly. I get 15% off and regular delivery of things like Laundry Detergent, Cereal, Pet Food, Cat litter and more. This feature is more beneficial if you haven’t replaced your single use items (which many of my followers have done) on things like Paper towels, toilet paper, pads and tampons, diapers, etc. The Bottom Line: Will I renew it? Absolutely. It’s cheaper than Netflix, and I get SO MUCH MORE with it than I do with my Netflix subscription. I will, of course, keep Netflix too, but I can see Amazon Prime being apart of my household for many years to come. If you are interested in signing up for your Free Trial, you can do so with my Affiliate Link. Just set your reminder to cancel for 29 days, to be safe 😉 But I have a feeling that if you actually look into all the benefits, and start watching some of their awesome shows- you aren’t going to want to cancel either.